Since her arrival on Walsh’s campus in 2013, Assistant Professor of Business Patricia Berg, D.B.A., has modeled the change she wants to see most in the world. With a positive attitude and a commitment to servant leadership, her campus impact has extended beyond the DeVille School of Business with initiatives that provide valuable learning opportunities for all Walsh students. By day, Dr. Berg teaches undergraduate and graduate courses for the DeVille School of Business . Her responsibilities on campus include leadership roles on the DSoB Assessment Committee, DSoB Advisory Board, Digital Media Taskforce, Leadership Facilitator for the MBA Program, Faculty Affairs Committee and Honors Thesis Advisor. But it is her “extracurricular” involvement as a student club advisor, program organizer, faith leader, and service advocate that have helped to make a positive, and lasting impression on campus. 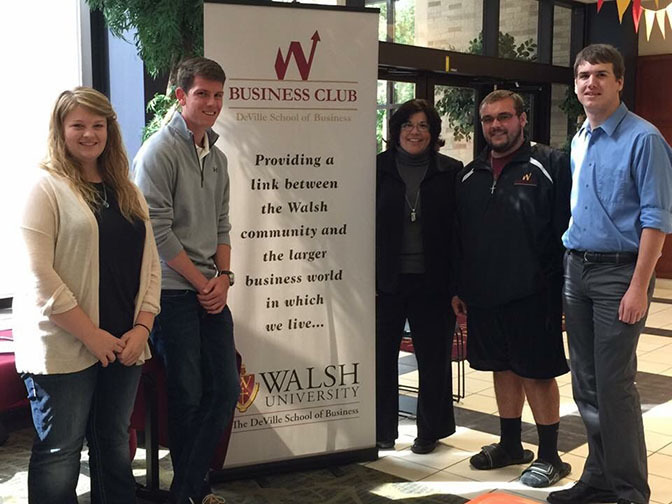 In the past three years as faculty advisor for the Business Club, one of Walsh’s longest-running and largest student organizations, Dr. Berg has helped to revitalize and energize the organization to become one of the most successful on campus with an average of 45 students attending each meeting, and averaging 65 active members each year. As the Business Club advisor, along with Walsh Associate VP of Strategic Planning Derrick Wyman and the University Advancement Office, Dr. Berg also helps to guide student members in the planning and execution of the DeVille School of Business Scholarship Luncheon, one of the University’s largest annual events each year. Their contribution has helped to raise $5,000 each year for club operations and over $75,000 total to fund student scholarships. New Business Club initiatives in the past three years have included an increase in service projects and an annual business club trip each year. In 2018, the Club decided to combine the two and incorporated a volunteer activity into their business trip itinerary to Nashville, Tennessee. Each spring, the core leaders decide where the Club will travel. Once a destination is selected, Dr. Berg creates a “wish list” of companies to visit and begins to make phone calls. Through tenacity and prayers, the BC has had unique opportunities to meet face-to-face with business leaders such as financial guru Dave Ramsey, a private tour of Coca Cola, and flight training at Delta Airlines. Plans are currently underway to incorporate Ramsey’s financial curriculum into a student workshop this year focused on teaching students to pay off their student loans and live debt free. As one of the University’s most ardent ambassadors, Dr. Berg has also been instrumental in organizing the annual Junior Achievement Day on Campus every October, which brings approximately 1,000 high school juniors to the Walsh campus for a daylong event. 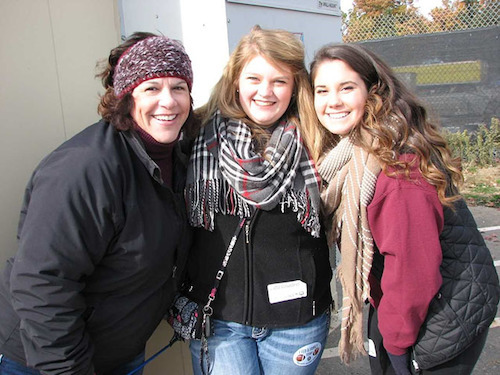 Held in October during the University’s fall break, Walsh students volunteer to act as tour guides and mentors to the younger students during their visit, where they learn career readiness and personal finance education. 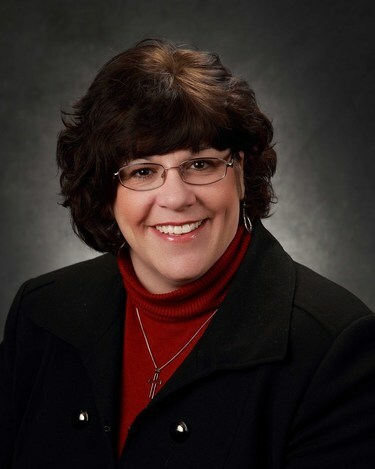 Her commitment to service has also led to new collaborations between Walsh University and local organizations such as Mighty Wind Christian Outreach, Belden Village Kiwanis and the Stark County Hunger Taskforce, with Walsh participating and winning the Tailgate Against Hunger food drive against Malone for the past three years. When Walsh freshman AJ Miller approached Dr. Berg in fall 2017 inquiring about new ways to deepen his Christian faith on campus, the two launched a Bible Study program called Joy in the Journey that is open to everyone and geared towards students who want to learn more about the Bible. The program quickly grew to a weekly Tuesday meeting and has attracted a variety of denominations including Catholic students as well. Joy in the Journey is entering its second year this September. That commitment to the development of all students also led to the creation of a new Summer Academy Camp for local middle school students in 2018 called Got Grit. The camp welcomed an average of 25 students each day with fun activities that were specifically designed to allow students to fail in a safe environment, and learn to bounce back and try again. Currently, Dr. Berg is serving as Managing Editor for a new book by Catholic radio personality and author Brooke Taylor called “Choose Hope.” The new book is due out late November and will feature 52 contributing authors, including several faculty and alumni from Walsh University. Dulaney, E., Bates, M., Berg, P. et al. (2015, May). Faith integration in the classroom: A plural view. Christian Business Academy Review. Berg, P. (2015). Connecting the dots: The long term impact of a liberal arts education in business. In D. Weinholtz, J. Dudiak, & D. Smith, Perceptions in Higher Education. Friends Association in Higher Education. Berg, P. E. (2015). Connecting the dots: The long term impact of a liberal arts education in business. In J. Dudiak, & D. Smith, Quaker Perspectives in Higher Education. Philadelphia, PA: Friends Association for Higher Education. Berg, P., et al. (2015). Inside Out, How Learning in Community is Reflected in How We Teach: Doctoral Institute Presentation. Organizational Behavior Teaching Conference, The University of La Verne, La Verne, CA. Berg & Szendrey (2014). Double Play: The Value of “Turning Two” in the Liberal Arts Business Classroom through Integrating Both Self-Directed and Experiential Learning. Christian Business Faculty Association Annual Conference, Nashville, TN. Berg, P., & Brown, K. (2014). Apps for fun and profit (and non-profits, too! ): Teaching business and museum studies in the digital age. (P. Berg, & K. Brown, Performers) Walsh University, North Canton, Ohio. Berg, P. (2013). The Corporate Classroom: Strategies for Establishing Corporate Readiness in the Liberal Arts Classroom. Christian Business Faculty Association Annual Conference, Chicago, IL. Berg, P. (2012). Connecting the Dots: The Long Term Impact of a Liberal Arts Education in Business. Quaker Higher Education (QHE). Citation 3 Berg, P. (2012). Connecting the Dots: The Long Term Impact of a Liberal Arts Education in Business. Friends Association of Higher Education, Wilmington, Ohio. Berg, P. (2011). Wayne College 2020 Continuing Our Shared Vision of Excellence. Orrville, Ohio: Wayne College. Berg, P. (2003). Group Leadership Project Teaches Corporate Skills. The Teaching Professor.